A 47-year-old was recently arrested by the Broward Sheriff's Office in connection with the death of her live-in boyfriend in a motor vehicle accident. The woman was charged with vehicular homicide and DUI manslaughter. The charges followed an accident this past Mother's Day in which the man was thrown from the intoxicated woman's SUV. The intoxicated driver lost control of the SUV and flipped the car over, according to Bradenton Herald. Her blood-alcohol count at the time of the deadly accident was .25, which is three times the permissible legal limit. As she was driving while intoxicated, she hit a swale on the right side of the road. This resulted in her overcorrecting so her vehicle struck the left guardrail. The front-wheel assembly came off the SUV, which swung upwards and rolled over. The 35-year-old boyfriend of the driver was killed when he was thrown from the passenger seat. Sadly, this accident was one of many in which a passenger is killed due to the dangerous actions of a driver. Passengers need to understand the big risk factors they face when getting into a car that someone else is driving. 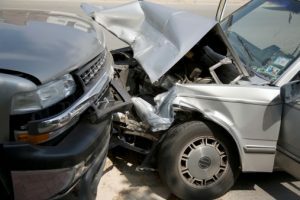 While it is the legal responsibility of the driver not to put passengers in danger, passengers should still try to make smart choices to protect themselves from harm. Don't get into a car with someone who is drunk. If you see your ride drinking alcohol, you should either drive home yourself if you are sober or find an alternative arrangement. Calling a taxi or another friend, or even staying where you are, is preferable to getting into a car with someone who has been drinking. You cannot believe your friend when they tell you they are sober if you've seen them consuming alcohol, as many people are bad judges of their own intoxication levels. Speak up if you see a driver doing something dangerous. If you are in the car with a driver who is speeding, talking on the phone, or taking other unnecessary risks, you should say something! Don't worry about the driver getting mad at you- a true friend or a caring family member will not want to put you in danger if they can help it. Avoid getting into cars with lots of young people and a young teen driver. The more teenage passengers in the car with a teen driver, the greater the risk of accidents. While you can do these things to try to stay safe, ultimately passengers are at the mercy of drivers to make smart decisions. If a driver fails to do so and hurts a passenger, the victim and his surviving family members can take appropriate legal action.